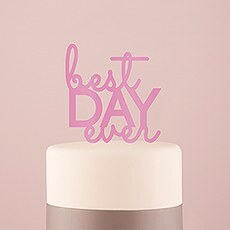 An assortment of lightweight designs that will sit well on any cake. 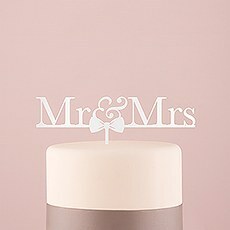 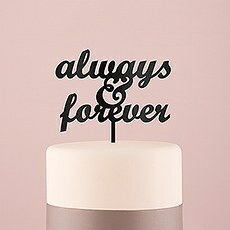 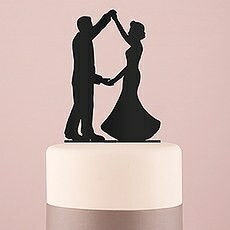 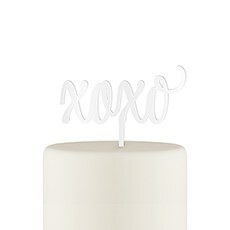 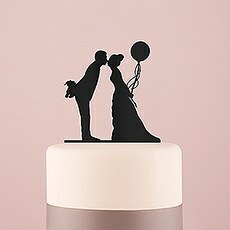 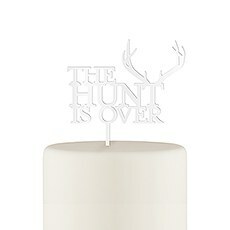 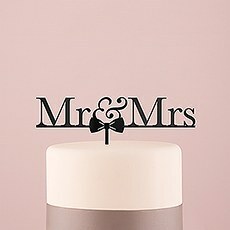 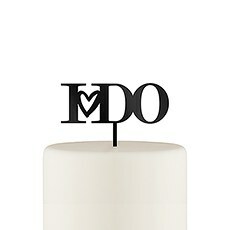 Make your wedding look ultra-modern and stylish with one of these acrylic cake toppers from Weddingstar. 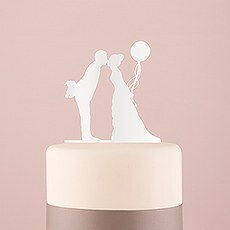 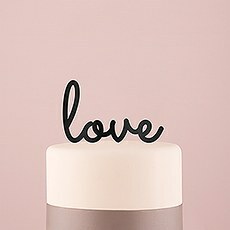 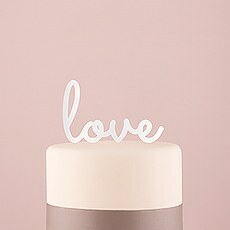 With thin yet strong acrylic, we're able to create all kinds of trendy and classic designs to adorn your wedding cake. 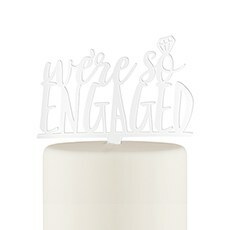 The acrylic can be shaped to show even the finest details, allowing for artistic flourishes and trendy styles. 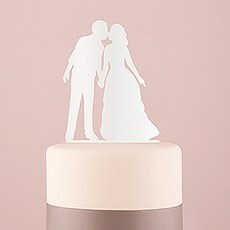 You'll also love that these unique cake toppers are extremely lightweight, so you never have to worry about your topper sinking down into the cake or messing up the picture-perfect wedding cake decor. 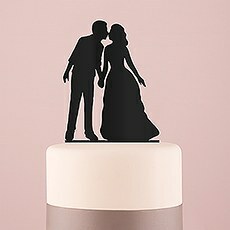 Simply slip the thin stake into the top of the cake and your wedding cake topper will stay firmly in position all night long.While we love that these acrylic cake toppers work so well for weddings, keep in mind that you can find all kinds of cute and charming cake toppers for various events in this collection. 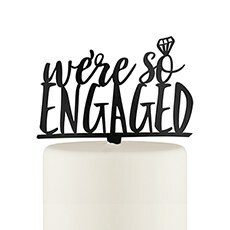 We have special cake topper designs for engagement parties, anniversary celebrations, New Year's Eve parties, birthdays and more. 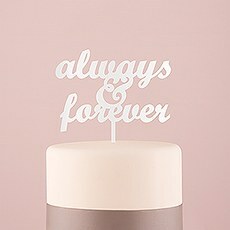 That means you can find an affordable topper for just about any occasion. 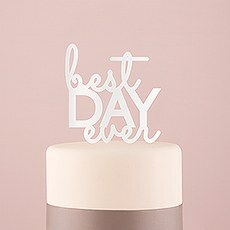 Best of all, the acrylic is super-easy to wash off after the party's over, so you can reuse your cake topper for future celebrations or pass them on as "something borrowed" for a friend or family member.Finding personalized cake toppers is easy when you shop at Weddingstar. 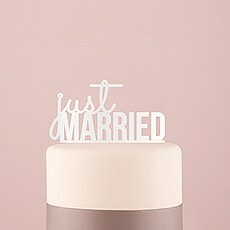 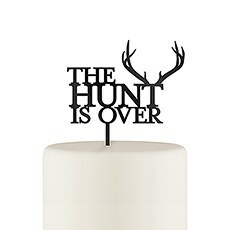 In addition to our acrylic cake toppers, you'll find plenty of other fun accessories for party and wedding decor. 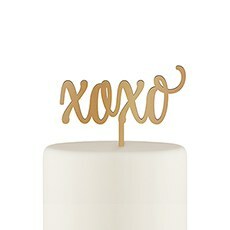 Design your own napkins for bridal showers, birthdays, bat mitzvahs and other events, or create stylish guest favors that match your color scheme. 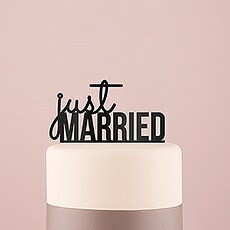 Our table runners, signs, confetti, candles and more make any event even more memorable. 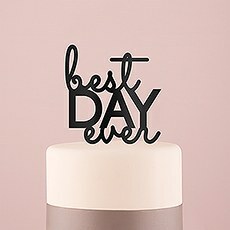 Shop at Weddingstar to find everything you need to create a special celebration you and your guests will never forget.